This time of year there are babies out there, and there are enough scary things without us adding to their fears. 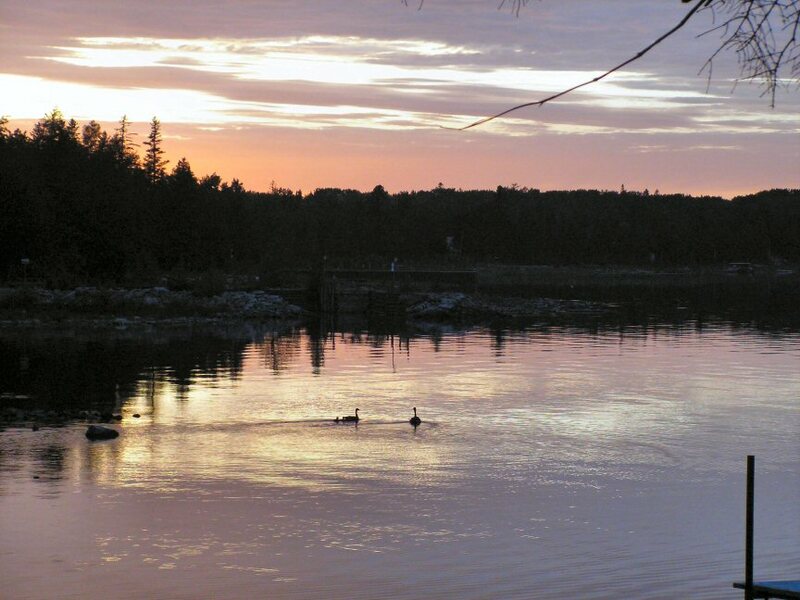 This year we've only seen two geese pairs with two babies each. That's unusual and I have to wonder what environmental changes might be taking place now. 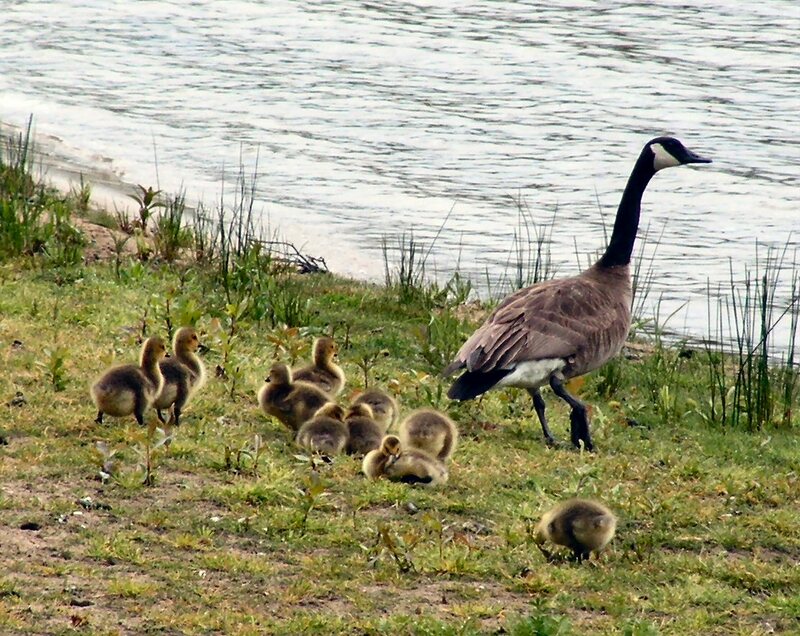 We're used to seeing eight to ten goslings following behind--at least at first. Over time, either through predation or disease, the numbers dwindle, and I watch sadly as the families grow smaller and smaller. 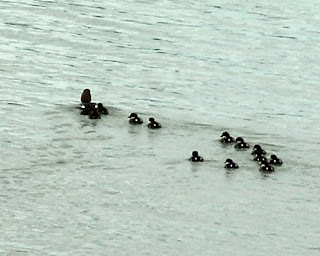 I'm no expert on geese, but I've been watching these nurseries over the years and I've seen several families swimming together as groups. I have to assume it's for mutual protection. 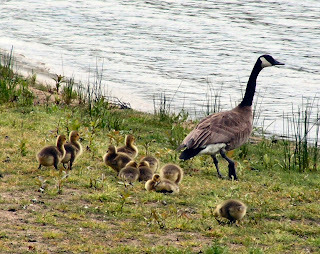 Sometimes the goslings paddle from one family to another and I know it's only a matter of time until one of the parents chases them back to where they belong. There's a bit of a ruckus for a while, with both sets of parents getting their feathers ruffled before they calm down and get back to whatever they were doing. But they are a community--no doubt about it. 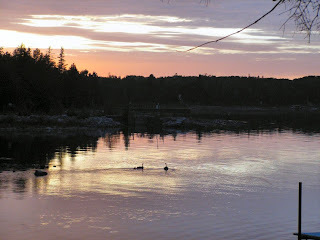 I'm still waiting to see a mama loon carrying her babies on her back. They don't ordinarily come close to shore, so I may never get the chance. But there's always hope. I keep my camera close, just in case. Good to see your blog back! Glad you are posting again. You are where I want to be. Love the pictures, helps bring me there. B.